In this refurbishment die Baupiloten created a completely new conceived world from the renovation of a temporary structure. 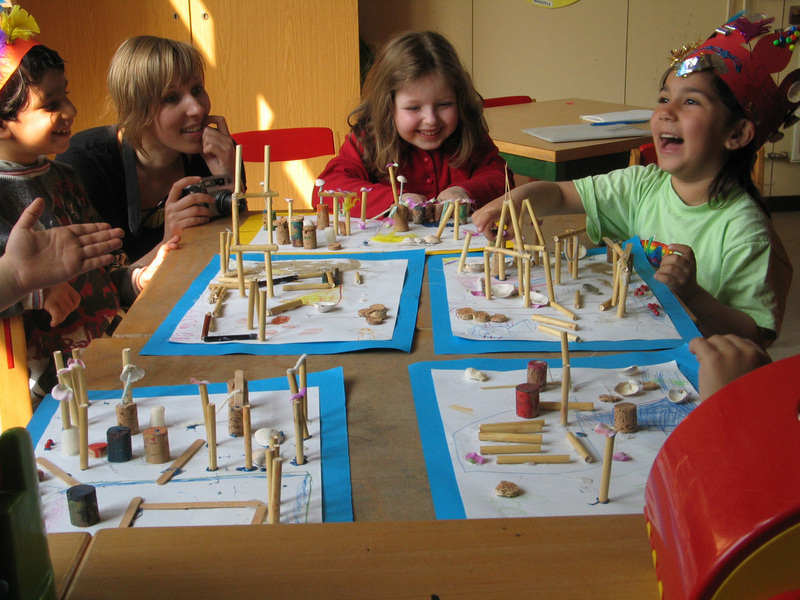 Astrid Lindgren’s story of Pippi Longstocking provided the basis of conceptual design development with the children at the day care centre using collages and architectural models. 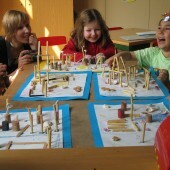 Singing bridges, huts, and a shell-throne gave an inkling of spatial qualities the children imagined for their new kindergarten. Daily observation of the children’s play was a further inspiration to the Baupiloten. 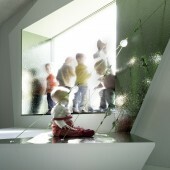 The project resulted in rooms for all groups at both ends of the building, connected by a children’s gallery along the corridor. Both areas are open towards the outside. 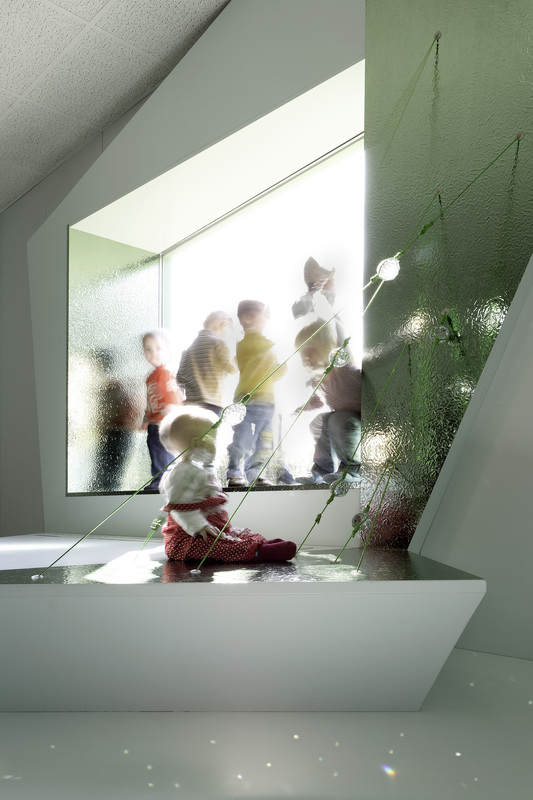 At one side the new large panoramic window makes observing newcomers possible, while the other side features a weather-proof façade for playing, connecting the interior with the garden. Construction costs were largely minimized by recycling some of the building material. 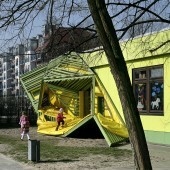 The “Baupiloten” carry out participatory design and building projects as part of their architectural education. 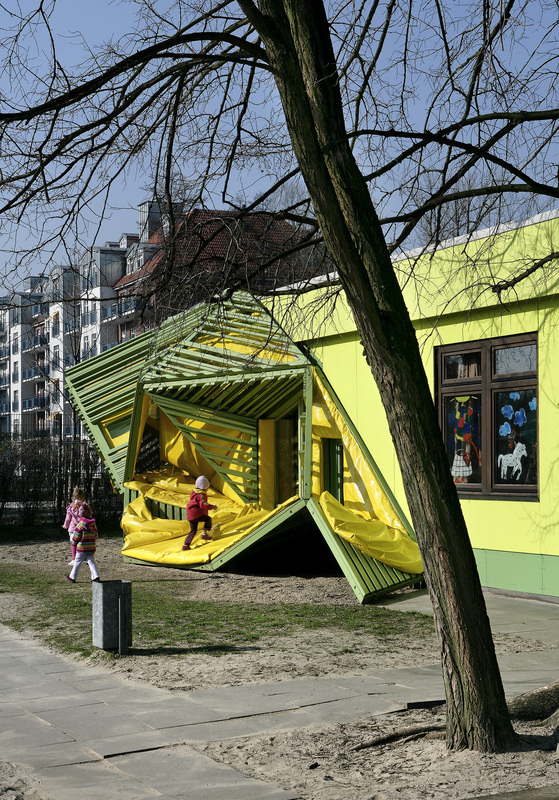 The course was founded in 2003 by architect Susanne Hofmann, AA Dipl. at the Technical University of Berlin as a “Studienreformprojekt” to support a stronger interface between academic and professional experience.